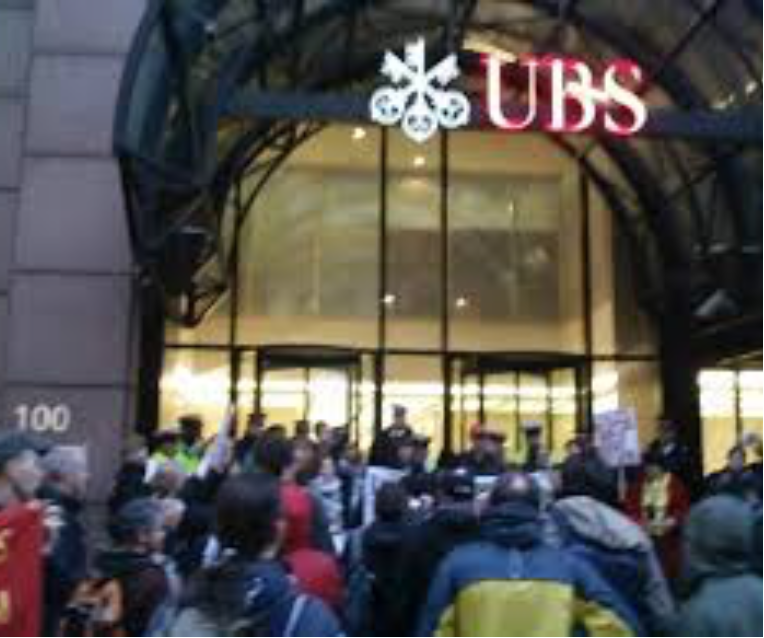 UBS attempts to use police against hostile pickets. Daily Mail reports: “Neil McCormick, the head of UBS’s Asia Derivatives Unit, jumped to his death in London after ingesting cocaine at a party … thrown in his honor … After walking around mumbling … ‘guys don’t do this to me’.” M1 We have reported numerous ‘suicides’ of UBS clients, investors and now employees. It is obvious something UBS was on his mind that his ethics could not handle. He had to escape with cocaine and then UBS’s ultimate sacrifice. We wonder who won the alleged UBS suicide raffle (see Issue 11). Why not try calling or faxing the above prestigious Florida law firm and see what happens? Dan Doorakian of the above law firm has allegedly been associated with Mr Anthony (aka AJ) Borrelli, a lawyer for the prestigious Riker Danzig, Morristown, New Jersey law firm. Anthony has allegedly been associated with UBS General Counsel David Aufhauser who recently was USA Federally Prosecuted for insider trading (see Issue 1). Craig Darvin, UBS Associate General Counsel currently participating in Hicks v UBS containing alleged UBS inconsistencies. now before the Utah Supreme Court. Moyle Flanigan Partner Dan Doorakian has been arrested in various recent mishaps with Florida legal authorities resulting in vomiting and excreting in his pants, among other things. See the below Palm Beach Post for the complete article. Pressure was being put on Doorakian regarding UBS. Dan gives a literal meaning to UBS out-house lawyers like Anthony Borrelli, if they follow suit. Anthony Borrelli, Craig Darvin or David Aufhauser have allegedly refused to tell the whereabouts of either Mr Doorakian or Mark Boinavich (sp) whose UBS telephone also went unanswered (see Issue 9). Neither prestigious Quinney & Nebeker Utah law firm attorneys representing Thomas Hicks III within the Utah Supreme Court nor the Utah Supreme Court itself will acknowledge any UBS United States Federal violations or other malfeasance in these and other onerous matters regarding either Hicks v UBS (Case # 20100186), UBS v Mallard (Case # 080926075) or other known cases. United States Federal violations noted within UBS v Mallard (Case #080926075) and accompanying exhibits were sent via registered mail to the Utah Supreme Court eliminating the plausibility of denial. 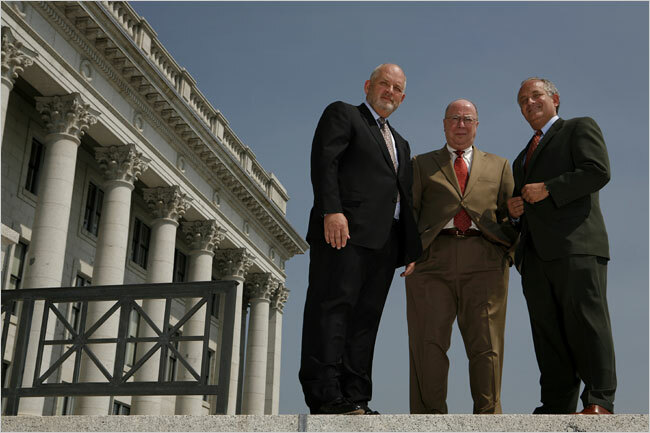 Controversial Quinney Law Firm recruited the two lawyers representing Thomas Hicks and controversial USA Attorney Brent Tolman sometime during the litigation. Whereabouts of the Hicks v UBS case was not in the mandatory Salt Lake City, Utah 1st floor court public records despite repeated attempts to find it by investigators. Hicks v UBS was finally found in the Utah Supreme Court by investigators perusing New Jersey law firm Riker Daniels Borrelli documents. This could not have been mistake or inadvertence because archive clerks on the 1st floor genuinely attempted to find Hicks v UBS on several occasions. Thomas Hicks III has a right to know of documents favoring his position presently being kept from him. How can the Utah Supreme Court knowingly allow lawyers implicated in obstruction of United States Federal justice and fraud upon the Utah court in UBS v Mallard within the Utah 3rd District Court on the 4th floor at the same time defend UBS in Hicks v UBS (Case #20100186) within the Utah Supreme Court on the 5th floor? 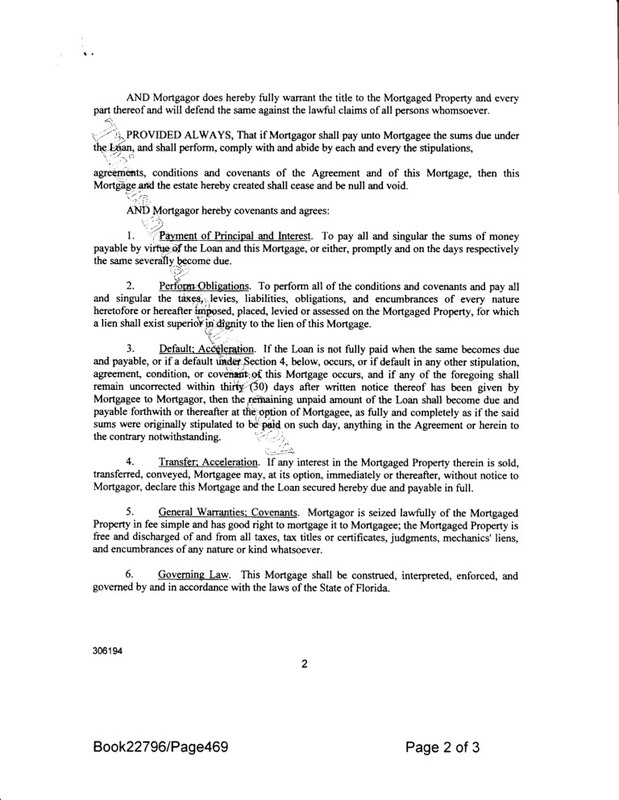 UTAH 3RD DISTRICT COURT DENIES FLORIDA MORTGAGE DOCUMENT PRIMA FACAE EXISTENCE! Among other United States Federally mandated documents, Utah 3rd District Court will not recognize the above Florida registered deed as a genuine material existing fact. UBS allegedly decided the mortgage inhibited UBS’s unauthorized offshore and crossover transfers of client account liquid assets. Utah 3rd District Court successfully allowed UBS Utah and New Jersey lawyers to argue the nonexistence of the above Florida mortgage without either a Florida legal or real estate license. These same lawyers are now before the Utah Supreme Court representing UBS against an unknowing Thomas Hicks III. 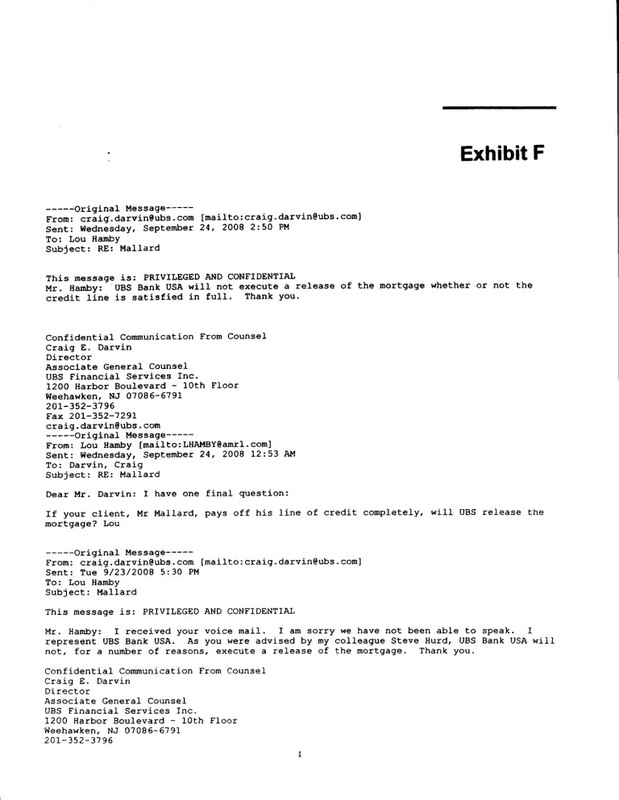 UBS Assistant General Counsel Craig Darvin terminated the credit line ($100,000)/mortgage ($450,000) contract between Florida senior citizen Client and UBS after Client witnessed purging of entire UBS Laurel New Jersey mortgage department and disappearance of United States Federally mandated documents. This act was allegedly implemented in expectation of the successful Swiss and AIG counterparty bailouts. Despite Florida senior Client repeated calls to the new mortgage department personnel (866-536-3827), UBS will not divulge any of the Florida senior Client mortgage documents Darvin iterates (See above). The Utah 3rd District Court refused to recognize the above UBS Darvin email as a genuine material existing fact. UBS AG (Switzerland), allegedly under the auspices of fugitive from USA Justice UBS Chairman Raoul Weil, created the dubious USA Federally unregistered UBS Utah Industrial Bank. This was implemented because the Utah Industrial Bank lobby (Issue 13) has suspiciously kept these controversial Utah banks without any United States Federal Reserve regulation. This has allowed them a competitive advantage over federally regulated national banks. It has also provided a conduit for unauthorized money and USA Federal document laundering (Issue 9) at the expense of, among other things, USA national as well as international security (Issue 12). FDIC Administrator and Utah Commissioner of Financial Institutions (Issues 11 & 13) are the regulators turning the preverbal blind eye and deaf ear while coveting a plausibility of denial. UBS AG deviously changed the UBS Utah Industrial Bank name to UBS Bank USA, allegedly to further defraud would be USA and international clients into thinking it was a USA Federally regulated national bank. Within both their Utah 3rd District Court (see UBS v Mallard case # 080926075) as well as the Utah Federal District Court (see UBS Bank USA v Andre Hawit case # 2:09CV32DAK). UBS Bank USA is continually allowed by the Obama USA Treasury and Justice Departments to represent itself and internationally advertise as a USA Federally regulated national bank to the world. Obama is a recipient of the UBS deferred payment scheme upon leaving the USA Presidency. Utah 3rd District (4th floor), Appeals (5th floor) and Supreme (5th floor) Courts are delighted with their pamphlet emphasizing their success at processing primarily Utah Industrial Bank out-of-state client victims via onerous judicial scenarios. 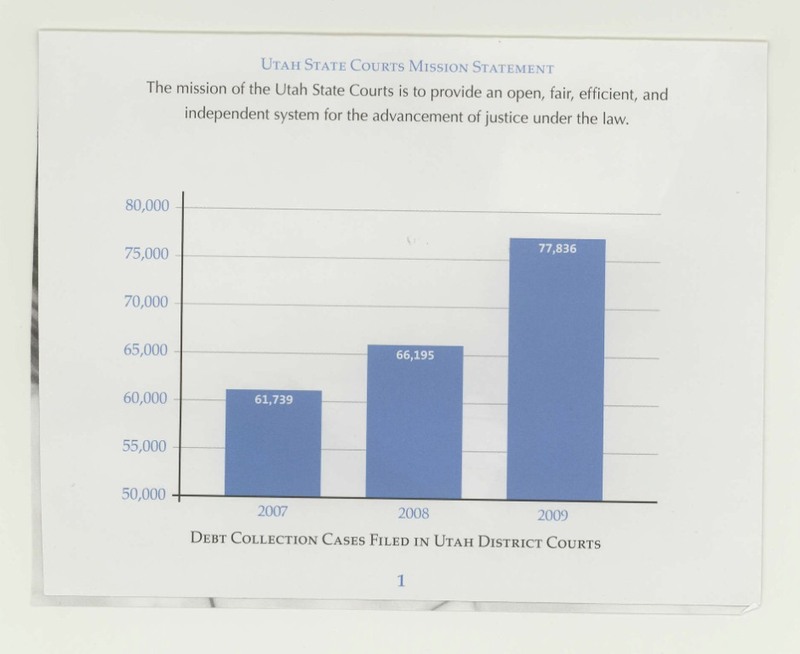 The graph is but one depiction of the rewards gleaned from suffering Utah Industrial Bank client victims. Investigators could not find one case where either UBS or Lehman Industrial Banks did not prevail against harvested out-of-state client victims. As noted in prior issues, this is a big money maker for Salt Lake City lawyers and bureaucrats. Utah Industrial Bank Cartel members Lehman and UBS are in good part responsible for the 2008 World Financial crash. This has been hidden from international finance and their customers. The President Obama is on record saying he would shut down the Utah Industrial Bank Cartel. This would have curtailed his UBS deferred payments upon retirement. The World is in a precarious position because of these USA Presidential actions. Seniorsavior reports: “We now know considerable about perpetuating Utah Industrial Banks, penny stock and other Utah swindles heretofore censured. The Utah Industrial Banks and their accompanying Utah support bureaucracy are by far the largest known swindlers within the United States. We have been told this endemic criminal activity has been rampant for decades with token Utah or Washington prosecution. This could be why the likes of fugitive from United States Justice UBS Chairman Raoul Weil (See Issues 7 & 10), as well as other UBS associates, chose Utah Industrial Banks. We already see international media perusing the matter at this juncture, partially exposed by the nefarious UBS treatment of stalwart Florida senior citizens (Exhibit G). Utah CEO Magazine reports: “Along with Mormons and the 2002 Winter Olympics, Utah is known for securities fraud. ‘For good or bad, deserved or undeserved, Utah has a national reputation for being a center of securities fraud,’ notes Kevin Timken, a securities attorney at Kruse Landa Maycock & Ricks, LLC (KLM&R). In fact, Utah is the smallest state to have its own office of the Securities and Exchange Commission. … Both Federal and state laws have provisions that say that it is unlawful to sell securities with a material misstatement or omission of a material fact…. You must be both accurate and complete, … A failure to comply with applicable securities laws could result in civil and possibly criminal charges, as well as civil lawsuits from investors seeking damages and a return of invested money.” M4 UBS AG wholly owns UBS Utah Industrial Bank but they call it UBS Bank USA to confuse unwitting national clients into thinking it is a Federal Reserve regulated national bank. At no place on any UBS contract does it say UBS Bank USA is a Utah Bank with no Federal agency regulation. UBS Utah Industrial Bank’s cozy special relationship with the Utah 3rd District Court is well known and exposed within these issues. Utah 3rd District Court is documented within UBS v Mallard (Case # 080926075) as laundering UBS fraudulent unverified United States Federally mandated documents (See Issues 9 & 12) as well as unauthorized UBS offshore wire transfers (See Issue 9) and account asset crossover shifting (See Issue 12). Utah 3rd District Court has colluded with UBS lawyers in a successful attempt to sanitize by striking, purging or summarily dismissing UBS v Mallard (case 080926075) of any obstruction of United States Federal Justice. This is a clear breach of United States national, if not international security. Utah Supreme Court has had to acknowledge these events via Federally registered mail but has refused to take action against the same UBS lawyers currently before the Utah Supreme Court in Hicks v UBS (Case # 20100186). Lawyer/lobbyist/facilitator George Sutton successfully represents USA Federally unregulated UBS Industrial Bank Cartel. Sutton is surrounded by his cronies. American Banker reports: ” ‘The issues surrounding banking and commerce are really political, and if you look outside of the political sphere … and look at the financial markets and the banking industry today, it’s clear that separating banking and commerce is an antiquated and outdated notion,’ said former Utah Banking Commissioner George Sutton, who as an attorney at Jones Waldo Holbrook & McDonough PC in Salt Lake City has represented companies trying to enter the banking business through industrial loan charters.” M5 This Utah Industrial Bank statement speaks for itself. How can Washington internationally justify keeping Utah Industrial Banks any longer? We know they are both the laughing stock and concern of the international banking community compounding the United States to 3rd World status. “Over the past 20 years, the current generation of (Utah) industrial banks has developed into one of the strongest, safest and soundest group of banks that ever existed.” This Sutton statement was both prophetic and pathetic. Two years hence Utah Industrial Bank international cartel members UBS and Lehman were prime players in devastating the international financial system. Seniorsavior.com reports: “Independently, a nationally renown CEO queried Utah/Washington Utah Industrial Bank facilitators. He was given a sales promotion by Utah pitchmen as to the merits of purchasing an available Utah Industrial Bank. A point of interest alluded to by the Utah pitchmen was the soundness of the investment. Among other things, but not necessary all, alleged competitive advantages were: Firstly, Utah Commissioner of Financial Institutions office would blunt detrimental complaints. Secondly, FDIC enforcement is kept to a minimum allowing Utah Industrial Banks leeway. Thirdly, the relationship with Utah Judiciary will insure favorable judgments. Fourthly, there are many Utah BYU (Brigham Young University) grads in high bureaucratic positions within Washington willing to assist. Fifthly, (overt and covert) Washington lobbyists assure Utah Industrial Banks will continue without any United States Federal banking agency regulation. Utah Industrial banks have been impervious to United States Federal law incursions since their inception.” M6 This scenario fits well with what the senior citizen has been experiencing in Utah. It also conforms to what media has been reporting within the citations throughout our issues. Alleged international criminal oligarch clients of UBS AG can easily obtain forged Federal documents and accounts within UBS Utah Industrial Bank. 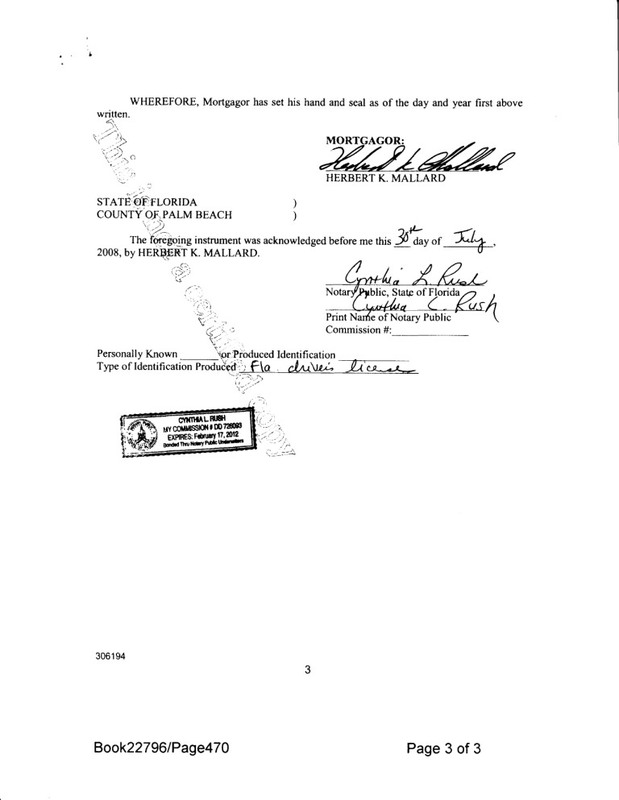 UBS never verified Federally mandated Florida senior citizen documents (See Issues 9 & 12). The Utah 3rd District Court accepted them as true although UBS gave a fictitious address and two social security numbers. UBS launders fraudulent Federally mandated documents through the Utah 3rd District Court. This and other UBS fraud was further not only condoned but aided and abetted by the Utah 3rd District Court on the 4th floor in UBS v Mallard (Case # 080926075). The Utah 3rd District Court denied due process under the law, especially all discovery. The Court then obstructed justice by striking, purging and summarily dismissing Utah public court records on the 1st floor of any and all UBS Federal violation submissions. We now see the Utah Supreme Court on the 5th floor ignore and dispose of these registered mail documents and exhibits showing United States Federal violations. Utah Supreme Court is now hearing Hicks v UBS (Case # 20100186) with the same lawyers representing UBS who have been instrumental in fraud upon the Utah 3rd District Court by aiding and abetting UBS Federal violations. UBS v Mallard repeatedly says this behavior is a direct threat to international security. There is no Utah judicial plausibility of denial in this obstruction of United States Federal justice. We conservative Protestant Christians believe the Mormon Mafia cult has never been a religion. They have been called a Mafia cult for many years. They are the biggest fraudsters in the USA. How are they linked to the Swiss money and document launderers other than through the Utah Industrial Banks? How do you follow UBS into their worldwide frauds? It’s just amazing how UBS seems to be involved in so many fraudulent schemes and get away with it. I am a mormon and Im going to keep it short and sweet. Every person on the planet is prone to make mistakes, regardless of what religion he or she is a member of. Notice how I said, “religion”. This is because the mormon church is not a cult. Anyway… if someone from the mormon church (LDS Church (people tend to think these two names are different churches)) does something wrong… it isn’t to show what our church is all about. It simply shows that nobody is perfect. There are people out there who embarrass the church all the time, but 99.9% percent of the time the mormons are out there just trying to make the world a better place. There is no mormon mafia, that’s pretty funny. We are once again not a cult. I knew Dan in law school, and wanted to point out that he was brought up to face honor code violations his first year. He had made fraudulent statements on his resume for recruiters, alleging that he had degrees that he did not have, honors he had not received, etc. He was banned from using career services as a result, and the honor code was changed to more adequately cover his particular conduct (as no one had previously violated it in such a way), and thus he could not be more severely punished than he was. But clearly, this is not an isolated incident, but evidence of his complete lack of morals, scruples, or ethical behavior. My interactions with Dan lead me to believe that he is completely amoral, and possibly psychotic. It doesn’t say much for his firm, or the Florida Bar as a whole, that they would allow him to interact with the public as an attorney. Allegedly the Pres. of the FL BAR, a guy I was told named Mr. Diner…….allegedly his Sis in Law was getting lots of money from Rothstein peeps. Also, Rothstien of Rothstein Rosenfeldt Adler Boca Raton, Florida law firm, was allegedly V Chairman of the ETHICS GRIEVANCE committee of the FL BAR? The FL BAR appears hopelessly incompetent….Lawyers are Officers of the Court…..how can they be trusted? They cannot. Maybe … this dude can be the Florida Bar Poster Child Maybe …. Pulled over for DUI, Crapping his pants, vomiting on himself and saying …. We know what happened …. bad attys and judges are corrupting, our system stinks. Ponzi lawyer Rothstein headed Florida Bar. Let us remind our readership we are a one issue at a time secondary news source. We are now covering UBS through our influential network. International media is using many of our contributions. This UBS subject should now considered a matter of United States national if not international security. We have had an enthusiastic response from Utah disgruntled attorneys, among others. Many of these attorneys are devout Mormons. We have stayed out of the Mormon controversy considering Mormons favorably, but for their general girth. We have received many vitriolic letters castigating the “evil” exposed. There is a clamor for implementers names. We have hit a national if not international nerve. We are obligated to voice the credible others. We will be balanced with plausible letters but not dwell on the subject. As evident, it does enter our investigations of UBS AG, its wholly owned Utah Industrial Bank and their supporting Utah bureaucracy.